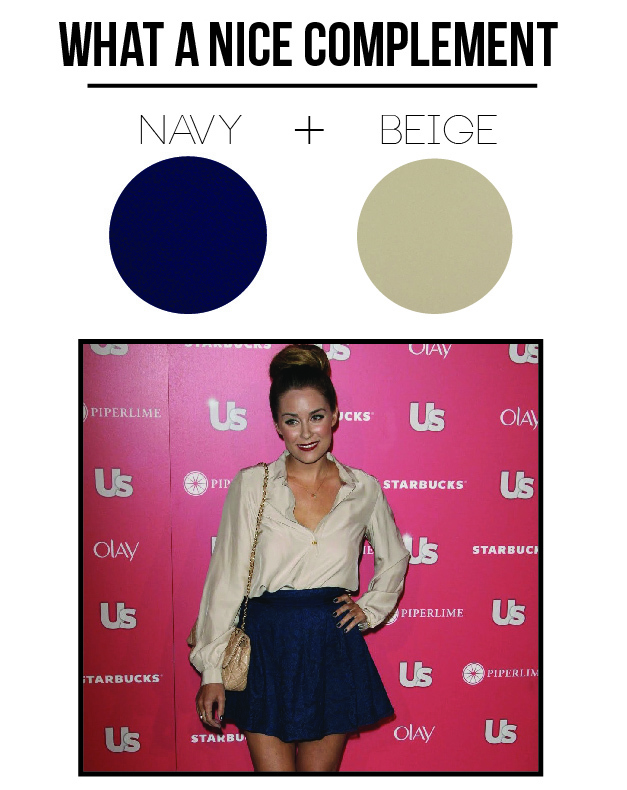 This look by Lauren Conrad is what initially caught my eye and it's perfection. 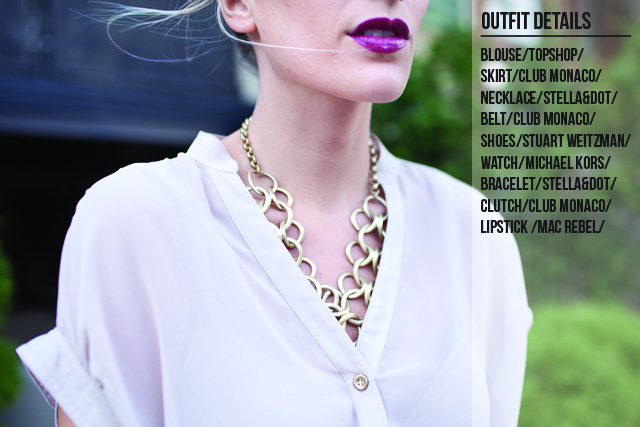 The deep red lip and high bun are fabulous complements to the outfit. Navy and beige are a classic colour combination that will never go out of style and can be worn no matter what the season is. I hate that confusion between seasons when you aren't sure exactly if you should make the plunge or not to switch up wardrobe and colours. Since we are about to transition between summer and fall you can stick to this combo and feel confident that you are on trend. 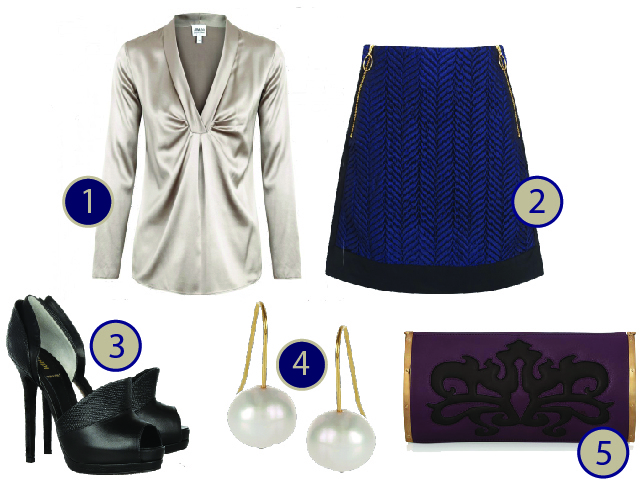 Check out how I've styled a look using navy and beige with what's in my closet. Your outfit is absolutely stunning, as always! Love that skirt! Love this Marla! You look so pretty! Great lip color too!